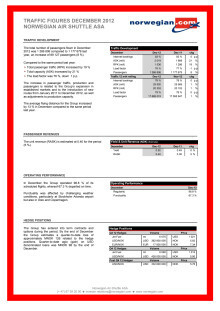 “I´m very pleased with the 2012 traffic figures. They illustrate that more and more passengers appreciate our product, including new, more environmentally friendly and more comfortable aircraft and free in-flight WiFi. It´s also particularly satisfying to get proof of our world-class reliability,” said CEO Bjørn Kjos. Every flight conducted by a Norwegian passenger is on average more than 1,200 kilometers. 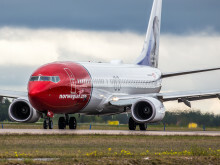 This is a major increase compared to 2011 and reflects that Norwegian has a great number of longer flights between destinations in the Nordics and southern parts of Europe and North Africa in its extensive route network. The significant increase in distance traveled explains why the RPK grows more than the actual passenger figures. Norwegian took delivery of 13 brand new Boeing 737-800 aircraft in 2012. The company´s fleet renewal program continues in 2013 with the delivery of 14 new 737-800s; in addition the company´s first 3 Boeing 787 Dreamliner to be used on long-haul flights will be delivered. Norwegian carried 1,266,806 passengers in 2012, up 8 percent compared with the same month previous year. The total RPK was up 19 percent while the ASK increased by 21 percent. Also the unit revenues increased in December; the RASK was up 5 percent. The load factor was 76 percent. Norwegian completed 98.8 percent of its scheduled flights this month, where of 67.3 percent departed on schedule. December´s on-time performance was significantly affected by challenging weather conditions at Stockholm, Oslo and Copenhagen airports. However, the overall 2012 on-time performance was satisfying. Norwegian was for instance the most punctual airline in Norway, according to Avinor´s official figures. Among the largest airlines at Scandinavian airports, Norwegian has the lowest number of cancellations. Norwegian Air Shuttle ASA, commercially branded “Norwegian,” is a public low-cost airline noted on the Oslo Stock Exchange. The company is the second largest airline in Scandinavia, and has a route portfolio that stretches across Europe into North Africa and the Middle East. 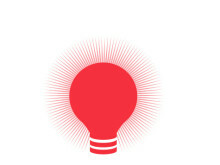 In May 2013 it will even commence long-haul flights from Scandinavia to the US and Asia. With competitive prices and customer friendly solutions and service, the company has experienced significant growth over the previous years. 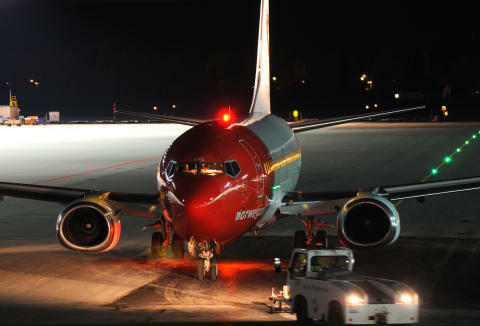 With about 17.7 million passengers in 2011, Norwegian is the 3rd largest low-cost airline in Europe. Norwegian currently operates 68 aircraft on 330 routes to 120 destinations and employs approximately 2,500 people. Norwegian's fleet has an average age of 4,9 years; the company currently has 280 aircraft on order.